In 1990, Camp Deerhorn offered its first Voyager Program. Boys that year enjoyed a wilderness canoe trip in the Boundary Waters. From the years of 1991 through 1995, Voyagers backpacked and mountain biked in the Porcupine Mountains in the Upper Peninsula of Michigan and canoed in the Sylvania Wilderness Area on the border of the UP and Wisconsin. The following year marked a change in itinerary again. 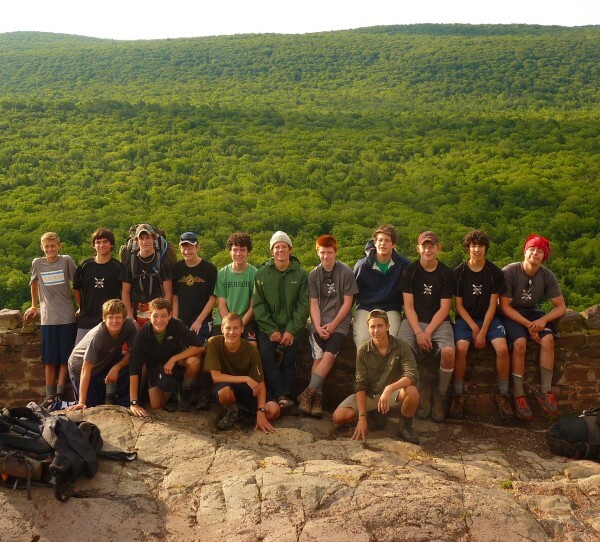 Voyagers again backpacked the Porkies and sea kayaked in the Apostle Islands in Lake Superior. 1998 marked the year the backpacking section moved again. This time Voyagers were treated to more of a wilderness expedition on the North Country Trail, a trail that extends from eastern New York through central North Dakota. 1996 was the year the first Voyager camper (Sid Klein) returned to assist the program as staff. Coincidentally, this was the year the Voyager Trip expanded into the Voyager Leadership Program. Many more pre-trip meetings occurred to prepare them for their upcoming adventure. These meetings included topics such as wilderness ethics, backcountry hygiene, basic first aid, tent set-up and stove usage, leadership discussions, and, of course, minimum-impact camping. Games are also played to develop team chemistry, trust, and effective communication. In 2002, Voyagers returned to the Porcupine Mountains for their hiking section. For the 2014 season, thirty-seven applications were received for the Voyager Leadership Program. In anticipation of this, the Pioneer Leadership Program was born, see below. 2014 marked another itinerary change. 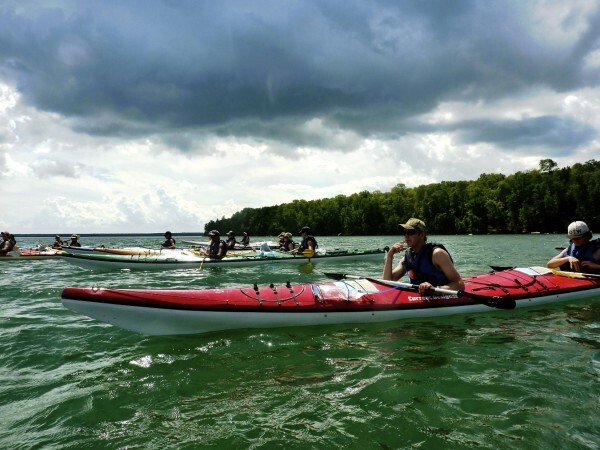 Instead of backpacking for three of the days, Voyagers spend all eight days in the beautiful Apostle Islands. 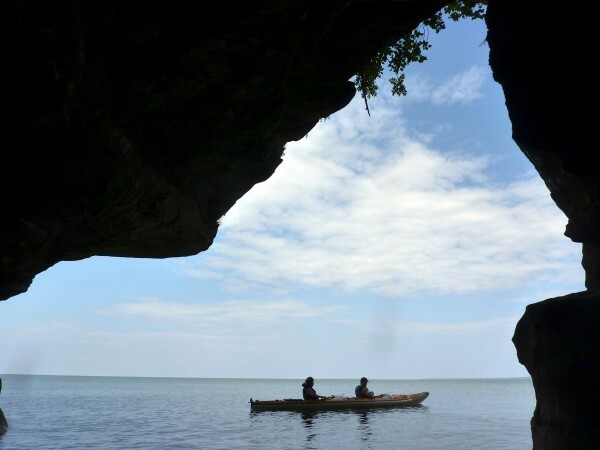 Sea kayaking may be the main focus, but the Apostles offer day hikes rich in natural history. Capacity is limited to sixteen. Created in 2013 in response to the growing number of applicants for the Voyager Leadership Program, this program has its own identity. Participants will hike for six days on the North Country Trail in the Upper Peninsula of Michigan. However, this program is so much more than a trip. Meetings and discussions will take place roughly every other day in camp which will include many of the same concepts that Voyager has, but an emphasis is placed on the transfer of this knowledge through leadership-based games. What kid doesn’t like games? For more photos from our Voyager trips click HERE.